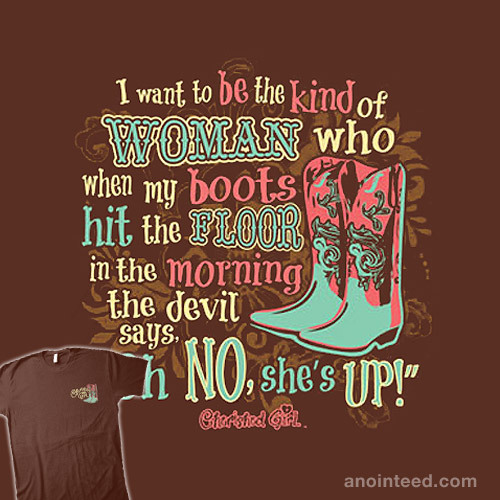 “Oh No” is a sassy Cherished Girl t-shirt complete with cowboy boots to stomp out the devil. The t-shirts theme is that we want to be the kind of girls/women that thwart the devils schemes in favor of following Jesus. © Copyright 2013-2014 Anointeed. All designs copyright by owner.